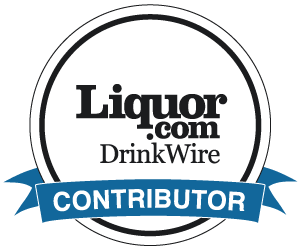 Having worked in the liquor business for more than 20 years, I think I know a few of the more important things needed to create successful brands and categories. Availability, PR, visibility, etc. As the absinthe market develops, however, both in Europe and elsewhere, one of the major tools that should be used is sampling. Either in-bar promotions or the wider availability of sample size bottles in the off-trade. Not many people are going to spend more than €30 on something that they have never tried before, let alone €50 or even €76 plus (the UK delivered price of Jade Nouvelle-Orleans ex-Liqueurs de France). At least this absinthe is also available in Europe in a 20 cl flask but to the normal shopper in Europe (or indeed the USA), most absinthes still have to be purchased by the bottle. So I was very interested to see the new offering from the RueVerte online shop that operates out of Europe: Absinthexplore. 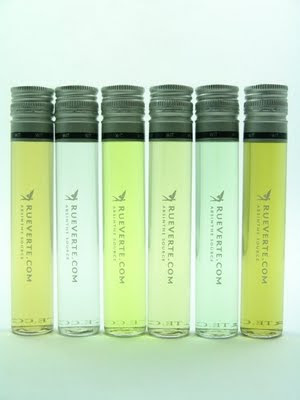 A collection of 23 different absinthes, from Switzerland, France, Germany and Austria that are available in 5 cl tubes and can be ordered individually, from €6.50 upwards, or in some of the sets put together by RueVerte. 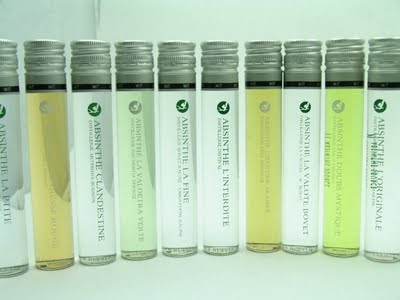 includes La Clandestine, Angélique and Opaline plus 1 spoon, all delivered to the UK for €48.00. A collaboration with WIT, France, the tubes come with a screw-cap to guarantee a hermetical seal and thus ensures no oxygen penetration. 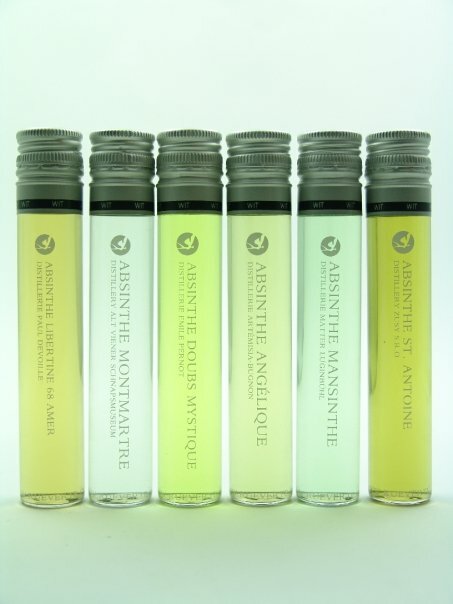 The sets are well-packaged boxes of 3 or 6 tubes that will undoubtedly become a popular Christmas present among absinthe lovers: they are easy and cheap to ship, they stand up well to the roughest of courier deliveries, and look great, by themselves ... or even on a book-shelf! I contacted Antoine Générau, the man behind RueVerte and the new Absinthexplore concept to get the inside track. What is your biggest market, Antoine? "France. I mean it's the way it is now. It might change with the new concept." What products would you like to add to the Absinthexplore portfolio? "I should be able to add new products in February. That's what I planned. I can't say exactly which products I'm going to include to the ABSINTHEXPLORE concept. The Jades would be a great thing, but I have to see if I can get the permission from Ted Breaux (Ed: Blanchette will be added to the collection in the next week or so). That's exactly the same with the others absinthes available (Ed: and produced) in the US. I will have to see with the distillers what we can work together." What do you say to those one or two people who have queried the possible quality issues: "How do we know that we are getting the real product? They don't have the distillers' seal etc etc." - I have the permission from every distiller. - Every sample have a transparent label on the bottom of the tube with the number of the bottle it comes from. ex : "Lot n° 25.07.2008 D". So that if there is a problem, we can trace every sample. In fact, this is exactly the same with a big bottle. If you have a problem with it, you look at the number for the traceability." Now launched officially, the Absinthexplore concept seems excellent, and it looks even better. Although I won't be buying a set for my wife this Christmas (she tells me she doesn't want absinthe this year! ), I can heartily recommend it for absinthe lovers and their friends. Long-term absinthe buyers may regret that this wasn't available when they were ordering online 5 or more years ago, but they and newer drinkers will love this. It's a definite contender for my absinthe launch of the year. And those mysterious absinthes in the first photo? Here they are ... Santé, Antoine! In a recent post, I quoted a California-based buyer who had commented on the slow down in sales of absinthe in the USA. Although both he and I found positives behind the apparent issues, the fact remains that in several key countries around the world, demand for absinthe seems to fall off after the initial surge. I have seen many countries follow these trends. And the main reasons, in my opinion, have been a variety of poor marketing techniques that have attracted consumers with false promises, i.e. 1. The suggestions that absinthe will produce a significant "effect," over and above that of normal alcohol; the subsequent "drug" association. 2. The burning ritual which many new consumers seem to expect, but which goes a long way to ruin any good absinthe. 3. The targeting of younger drinkers through campaigns that play on their gullibility. 4. The flood of cheaper products which in many cases are not real absinthe. Of course, not all of these issues are relevant to all countries, but it is inevitable that any false promises will attract consumers who will then drop out again if they discover they have been misled. So in trying to build new markets for absinthe, it is important to try to avoid these issues. Some companies may find the above styles of marketing can help provide quick volume, but in my experience such strategies will fail in the long-term. Quick volume? Long-term? The secret of success in absinthe is starting to remind me of the Aesop fable of the tortoise and the hare. With this in mind, and with no disrespect to those involved, I decided to look at what is happening in one of the more "mature" absinthe markets, Australia, to see if that could provide some interesting lessons for elsewhere. By way of a background, I have sold absinthe there in the past and have also developed some vodka and tequila business in Sydney. Australia has a comparatively long history with absinthe: Pernod and La Fée have been there since 2003/2004, and there are several "Bohemian-style absinths" in the retail and bar market, some of which are now appearing in the USA too. I have met or talked with several of the key players in the market over the last few years, and have watched the business develop. 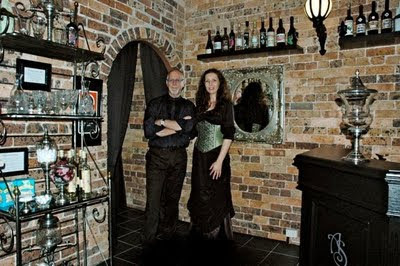 Some of these developments have been chronicled on the excellent Australian absinthe blog. Over that time, there has been one very interesting business which has developed steadily and consistently. 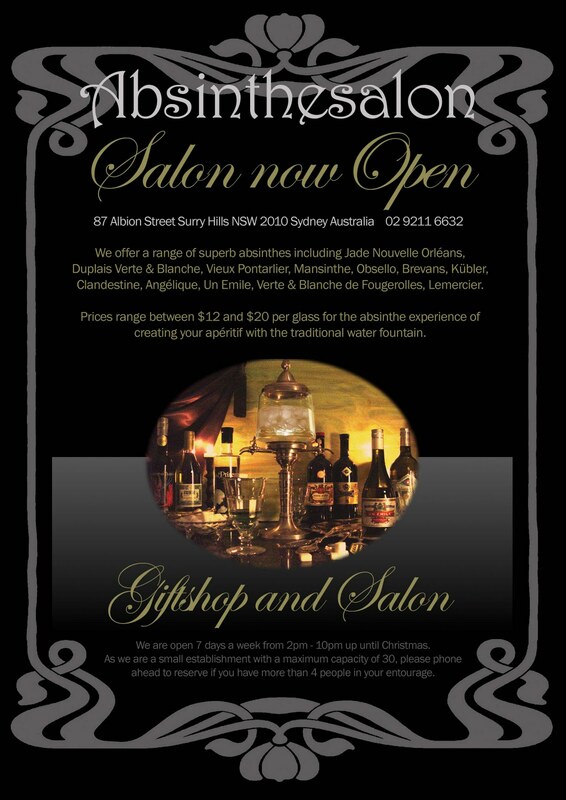 Its public face up to recently was a relatively low profile online shop: AbsintheSalon. 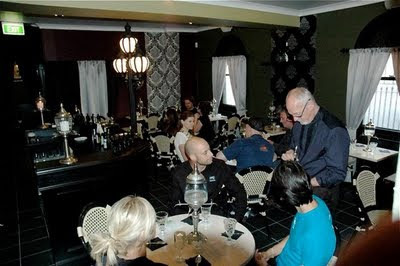 Unlike some of the European absinthe shops, AbsintheSalon has always focused on higher quality absinthes and has never been tempted to opt for lower quality products. In 2005, they started to import French, then Swiss absinthes (now joined by Obsello from Spain). Some of their imports were just for their online business while some have started to achieve significant success in the main market. However, an online and import business has not been enough for them. After many months of preparation, they have now opened a boutique and salon (poorly described as a "small pub" in one Australian paper). On November 18th 2009, the Salon opened with this announcement on their website. For those who cannot read the smallprint, the Salon offers La Clandestine, Nouvelle-Orléans, Duplais, Vieux Pontalier, Angélique, Mansinthe, Obsello and others! "We had always been fascinated with it and its history. When we were returning to Australia we really did not want to be involved too much with advertising anymore so we thought we would educate ourselves as much as possible and make absinthe our new passion. We started off with Lemercier. We just approached them when we were on holiday to see if they would like to export to Australia and they said yes. We did not even have a wholesale liquor licence at that time but applied for that when we arrived home in 2005 and got it within a few months. From there we kept expanding the portfolio just on a small scale." So how do you see the market and the business in Australia? Why the new Salon? "Over the last few years we are still loving it ... we thought we need to have a physical presence where people could experience the traditional style of preparing, drinking and appreciating absinthe for what it is rather than mixing it in cocktails. There are plenty of bars offering the same range of cocktails and all trying to have a point of difference but no-one was concentrating on just a section with absinthe alone. There are a couple of bars we supply in Melbourne and Queensland who do spend some time on the traditional service and offer our range of absinthes but it is not their only interest of course. 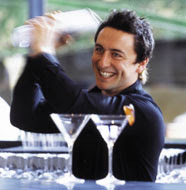 The legislation changed in the state of New South Wales, where Sydney is situated, allowing easier access to a small bar or as they call it here a general bar licence which is actually part of a hotel licence. It is a long process having to go through council development applications and then apply for your liquor licence and of course find a suitable premises with a good landlord and a least a little free rent while you are doing the paperwork and setting up. It has been an exhausting 6 months. We started all the paperwork in March 2009 and were grant the final liquor licence at the beginning of September. Then we had more physical work to do on the place. Being totally crazy, committed and determined we did mostly everything ourselves and learnt the hard way, as everyone does, which tradesmen to never employ again! So it remains to be seen how we will go, we have had lots of interest with people saying they are tired of the same old cocktails and that they are passé, tired of the "doof doof doof" and not being able to sit quietly somewhere and hear yourself think or talk. Hopefully we will fill a small niche in the market and be able to sustain the business. We hope our passion transfers on to those who visit us." The steady and consistent approach of Joop and Gaye, and their subsequent success is remarkable. No flashy campaigns, no dubious products: just careful and methodical progress, with a lot of passion and true belief in what they sell. Is this an interesting model for other countries to consider? In the USA, it's probably impossible: importers cannot also be retailers. But it may work elsewhere. However, the steady approach of Joop and Gaye, combined with their enormous passion, is surely an approach that can and will work elsewhere. Just be prepared if you follow their example: absinthe doesn't offer "fast bucks." You will need time, more time ... and lots of passion. IMPORTANT UPDATE November 15, 2009: Since no-one has come forth to claim a bigger range, I can now confirm that the Green Fairy Bar in Colorado has the biggest range of absinthes of any bar in the USA! If you know of a bar with more, please post details here by adding a comment at the bottom. I can now at least claim to have found and helped a new customer via Twitter. The Green Fairy Bar, Copper Mountain, Colorado. I read a Tweet from the bar, read their website and suggested one or two refinements to their otherwise excellent Fact or Fiction page. I then got into an extended series of tweets with the Bar, leading eventually to direct email correspondence. 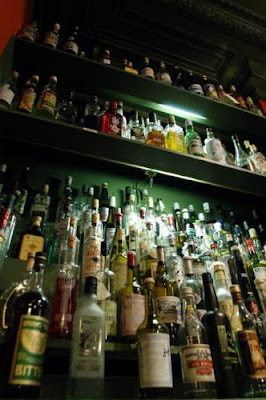 It was at that stage I discovered one of the amazing ambitions of Eric Turner for his bar: to stock more absinthe than any other bar in the USA (excluding of course the private bar at Brian Robinson's house!). My business partner and I have two Swiss restaurants in this area. Both of us have lived there for periods. 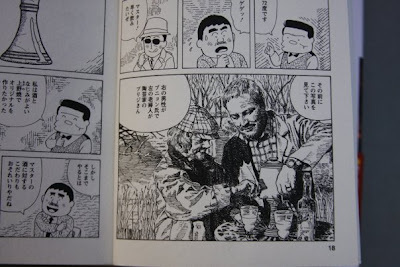 I was in Pontrisina, and he lived in Villars. We wanted to open a nightclub, and we do well with European themes. We both love absinthe (his mother would soak cake in it when he was a kid in Belgium), and we thought that it was a good combination to do a European nightclub/ absinthe bar. It kept us doing business that we love, and absinthe had just the right element of danger to fit in with the younger nightclub crowd. You certainly have a huge list of absinthes. And "absinths." Could that be too much focus on quantity, at the possible expense of quality? No, not at all. 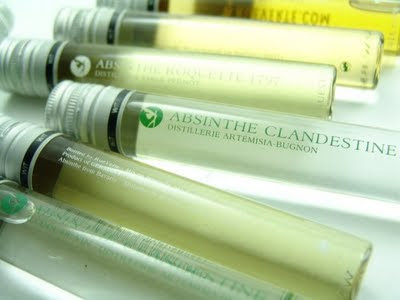 We will be carrying some of these "absinths" for comparison only. I can’t wait for the fools to come in and order Koruna because it is Czech. I’ll sell it to them, but I will give them a taste of La Clandestine or N.O. on me, on the side. Hopefully they will ‘get it’, and become regular customers as a result. Our business plan involves education as much as anything else. We feel that once people taste the better quality absinthes, they will pay more for them in the bar. Until they do, they will think they know what they are doing. Kind of like getting someone to appreciate Appenzeller by tasting it next to Velveeta. But of course my ambition is not just to stock more absinthe, but also to educate and expose Americans to the pleasures of absinthe. So how have you got all these absinthes? And when do you start? We are getting in the bulk of the brands now. The difficult part is distributors. Most of the products I will have do not have distribution in Colorado. I have been forced to pay retail and order online in some cases until they can get it together. We are doing our grand opening on December 18th, but will have a number of private functions prior to that. And Eric promises more to come! 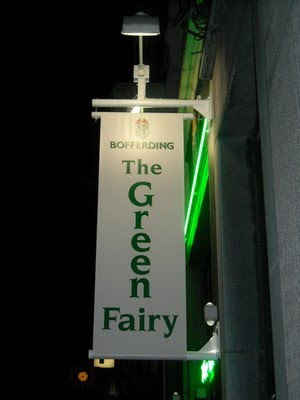 On the subject of Green Fairies, Eric's bar in Colorado is up against some formidable competition, especially in Europe. There are Green Fairy bars (in the local language) in Paris, in Milan, and, no doubt, elsewhere . 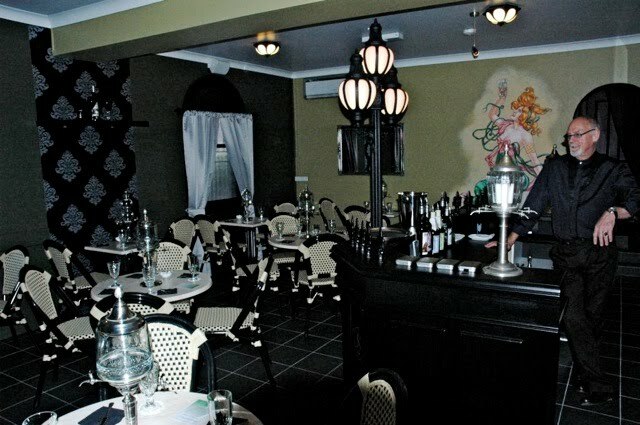 There is a newly-opened Green Fairy Club in Aurora, Illinois, and there are Assenzio (the Italian for absinthe) outlets in New York, Italy and Prague. 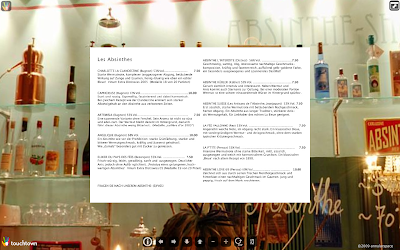 Depressingly the New York restaurant states "Try the namesake drink, assenzio (Italian for "absinthe"). The legal brand Absente is served in traditional fashion, with flaming sugar cubes," and I have resolved not to check out the Prague outlet. One of my favourites in Europe is the Gruene Fee in Solothurn, Switzerland. 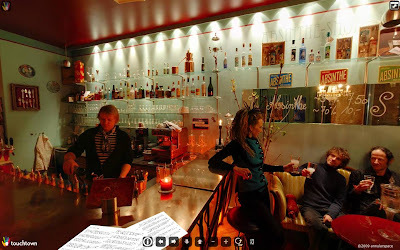 The newest absinthe bar in Europe seems to be the Green Fairy in Namur, Belgium. with apparently more than 300 different absinthes (and/or "absinths"). With two absinthe bars like The Green Fairy and Floris, Belgium is evidently an exciting place, and I'll report more from Belgium at a later date. In the meantime, a question for my US readers. Do you know of any bar in the USA with a larger selection of absinthes than at the Green Fairy Bar in Colorado? Or can this bar legitimately claim a place in the record books? "For three years Claude-Alain Bugnon has competed with his wife for space in the unfinished concrete basement of their home here, she to do laundry, he to make absinthe. Armed with plastic containers of dried herbs, tubs of pharmaceutical ethanol, a homemade still and a secret recipe from a friend's grandmother, Mr. Bugnon has used his skills as an oil refinery technician to produce the powerful herbal elixir long blamed for driving people mad. In January (2005) a new law takes effect in Switzerland aimed at rehabilitating the reputation of absinthe, whose distillation, distribution and sale were banned after an absinthe-besotted factory worker killed his wife and children nearly a century ago. The new law will allow Mr. Bugnon and dozens of other underground absinthe makers to ''come out,'' as one Swiss newspaper put it, seek amnesty and produce absinthe legally. For Swiss distillers like Mr. Bugnon, the goal is to produce top quality, high-octane, government-approved absinthe produced from Artemisia absinthium, or wormwood, a plant native to the Val-de-Travers, the region in western Switzerland where the drink was invented. If all goes well the distillers hope to obtain an official governmental ''appellation'' declaring that the region produces the only real absinthe in the world. Legalization will help the Swiss cash in on the rising global market for absinthe, which can be bought easily, and often illegally, over the Internet. There are Internet sites offering absinthe recipes and sources for wormwood seed. Mr. Bugnon is still tinkering with the right mix of herbs (among them fennel, coriander, mint and anise) for a substance that will have 53 percent alcohol content and turn creamy and slightly bluish when diluted with water. It will contain 30 to 35 milligrams per liter of thujone, less than the concoctions of a century ago. Mr. Bugnon has received a small metal license plate from the Swiss government that has been soldered to his still. An Italian illustrator has designed an elegant green label. A German importer wants to take his product abroad ..."
Five years ago then, absinthe was in the process of going legal in Switzerland, but at the time USA legalization was still nearly 30 months away. If Americans wanted to buy absinthe at that time, then they had to order from Europe and risk the vagaries of the delivery system and possible confiscation. Five years ago this month, the Wormwood Society added a forum to its existing internet site. And, five years ago this month, just a few weeks after I had accepted a job in the absinthe business, I made my first trip to Prague to the epicentre of the then infamous Czech absinth empire. There are now over 60 absinthes and/or absinths approved for US launch (and several more that I know of in the pipeline). There are some shops in the US with around 18 or so absinthes, and I am aware of a bar with more than 20 absinthes (more news on that very soon!). The Wormwood Society has 1,798 members and nearly 200,000 posts have been made. It has moved from a quiet beginning in Seattle to become the major online meeting point for absinthe consumers (especially American consumers), with several producers and retailers also posting there. While two other forums have seen a significant drop in postings over the last year, there is now a new forum, The Absinthe Review Network Forum. I expect this to have a growing impact on the absinthe category. There is now at least one excellent Czech absinthe approved for US launch, and at least one Swiss absinthe that can be purchased in the tourist shops in Prague (fuller story here). Definitely a sign that the absinthe world is changing! "It seems that more than a few of the first-born bottles were quickly (and shabbily, according to these guys) formulated and speedily released in order to capitalize on the movement. The distilleries that got involved with their “me-too” absinthe variations got it all wrong because, in their haste, they didn’t adhere to the original recipe and failed to capture the true nature of the beast. Some producers made terrible bottles with fancy labels to disguise the inferiority of their absinthe. Basically, because it was the hip thing to do, many people who shouldn’t have been making absinthe decided to and, in my opinion, they didn’t do a very good job of it. However, as is usually the case, the best things come to those who wait ...... To conclude the fourth entry in the home bar series, I must stress the importance of an absinthe bottle to your domestic drinking habits." So at least that account, while warning of the damage that poorly made products can have on the entire absinthe category, has a slightly happier ending! To end this article, I am returning to 2004 and to a great video. This was filmed for the Thirsty Traveler in Switzerland in 2004 (when many of today's absinthes had not even been conceived), while La Clandestine was still illegal and while Claude-Alain was distilling in the laundry room in his house! Kevin, thanks for the film. has 104 absinthe cocktails (and only one vodka cocktail). Where were they getting all their absinthe from, given the bans in France and Switzerland 15 and 20 years previously? The UK was, of course, one of the first countries to sell Hill's absinth (1998) and French absinthe (2000). But whereas many liquor stores and bars in the US now sell several absinthes (there are 18 at Drink Up New York and I am aware of a US bar with over 20 lines), the UK situation is very different. 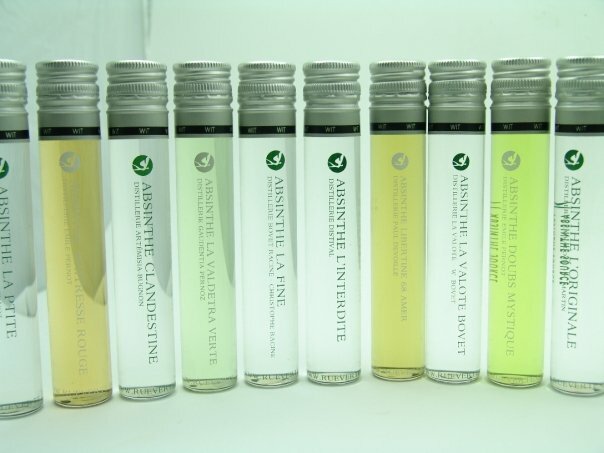 UK supermarkets, previously the main UK channel for absinthes, do not now sell any absinthe and one of the main UK-based online retailers for absinthe has cut its range from over 70 to around 10. Some "absinthes" can now be found at levels of 38% and 40% alcohol content, levels which may keep the price down and make the products more accessible to a wider audience, but which don't fit the traditional definition of absinthe and which may encourage "binge drinking." The fact that Bohemian-style absinth was the first entrant into the UK may also have led too many people to burn real absinthe: a waste of most distillers' fine products and creating an image for absinthe that will not help the long-term prospects of the category. 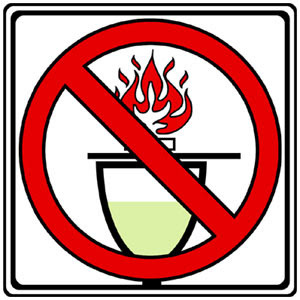 Real absinthe is NOT FOR BURNING! "Bibulous is a tasting party and shopping event with a difference; all at a ticket price that costs less than many a night in a bar. Come after work, or plan it into a day of gourmet grazing at the historic and lively Borough Market nearby. If you are a fan of fine spirits and are cocktail curious, Bibulous is a must. It takes place on Friday 27 and Saturday 28 November 2009 over four show times. Hosted in the atmospheric Great Halls of Vinopolis, it is a boutique-style show, worlds away from mass exhibitions or what you might see on the high street. Two show times each day 1.30 to 5.30pm and 6 to 9.30pm. Entry by ticket £16, or £25 for a pair, includes Bibulous tasters. Over 18s only. Tickets via www.showbibulous.com and www.seetickets.com." I am pleased to announce that The Real Absinthe Blog is offering 1 pair of complimentary tickets to the Bibulous show time on Friday 27 November 1.30 to 5.30pm. Send your name by 10 November to info@showbibulous.com, including "Real Absinthe" in the email title. One name will be drawn. I look forward to mixing with some of my UK readers at this excellent show.